Focaccia! Who doesn't love it? It's like a pillow top mattress you can eat. I'm a lover of all bread but there's something about focaccia that makes it especially irresistible. Oh wait I know what it is - all those pools and puddles of luscious olive oil it's baked in. 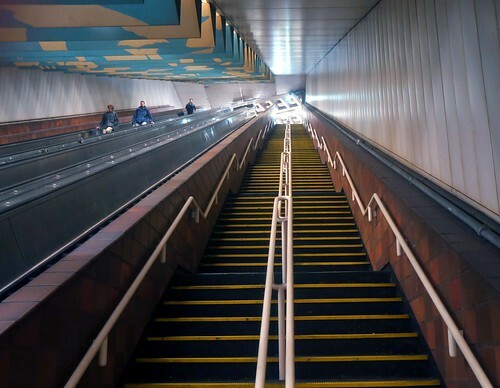 Before you get too jealous that I have an entire pan sitting before me, know that I'll be compensating this week by forcing myself to take the monster stairs at the Porter Square T stop. Focaccia is of course Italian but funny enough my most memorable experience with it was in Oaxaca, Mexico. After a week of feasting on tortillas, I stumbled across a European bakery with rows and rows of focaccia studded with all manner of enticing toppings - green olives, black olives, cherry tomatoes, charred onions, fresh cheeses and herbs. I handed the baker my pesos, stepped outside, and ate an entire slab standing right there on the street corner. I don't even remember what kind I chose but I do recall it was crispy and chewy and soft all at once and left my hands glossy with oil. In a word, perfection. So perfect in fact that I doubted I could recreate that magic at home. However I'm here to attest that homemade focaccia is really easy and really, really good. Even if you plan to give it all away to friends it's worth baking for the aroma alone. Now a word about the Meyer lemons. If you're skeptical about them, don't be! They're delicious rind and all. Meyers are sweeter than regular old lemons and not nearly as sour. They add an unexpected juicy tang that's - warning - highly addictive. My one regret is not scattering them more liberally. Combine yeast, water, and honey in a small bowl and let sit in a warm place for at least 15 minutes until it's nice and frothy. In a standing mixer fitted with a dough hook combine flour, yeast mixture, salt, and 1/2 cup of the olive oil on low speed. Continue to knead on low speed (I used the '2' setting on my KitchenAid) for 4-5 minutes; dough will be smooth and sticky. Sprinkle with flour and turn onto smooth surface. Knead a couple times until dough comes together and shape into a ball. Coat the inside of a bowl with olive oil, place dough in bowl, cover with plastic wrap and let sit in a warm place for at least one hour, until dough has doubled in size. After dough has risen you're ready to press into your baking sheet. Pour the remaining 1/2 cup olive oil onto baking sheet and then use your hands to stretch dough to fit the pan. Flip dough over once so it's well coated with olive oil on both sides. While you're stretching out the dough use your fingers to poke holes all the way through. This will ensure those classic focaccia dimples. Once your dough has stretched, let sit for one more hour to rise again. Use this time to preheat your oven to 425 degrees and prep your toppings if you haven't already. After an hour your focaccia is ready to bake. Scatter toppings and finish with sea salt. Bake for 25-30 minutes, until focaccia is golden brown. Allow to cool for a few minutes before slicing. Enjoy!